True, they’re very similar and you’ll end up with a look that may be confused as either an ombre or a balayage. 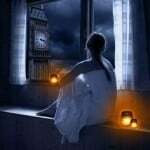 However, you may want to know the difference between the two in order to accurately determine which you really want and which you don’t. This is the hair style that took the world by storm as of late. And it it just that, the style of your hair is ombre. This comes from the French word, “shadow” and therefore, reflects a shadow. It’s the style that goes from a darker shade at the roots to a lighter one on the ends. Who should get this style? Well, an ombre usually works best on those who already have dark roots. 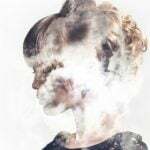 This gives it a more natural look and it can be grown out without needing to be redone for much longer than if you naturally have very light hair. Therefore, it’s also a great transition hairstyle to have. 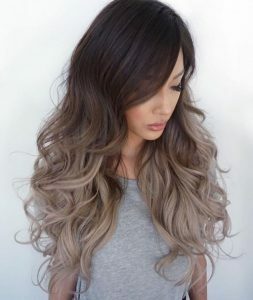 Those who have dark hair but want to make the transition to light eventually have an easier time doing so if they first get a subtle ombre and then go up from there. It’ll make the transition much easier on your hair and not nearly as shocking for everyone else to see. This may look much like the ombra, but it’s actually very different. 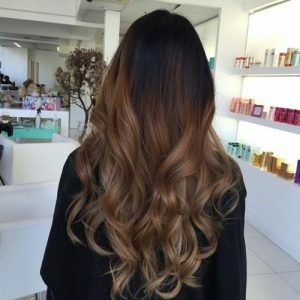 A balayage is actually a technique used to dye the hair and not an actual style itself. 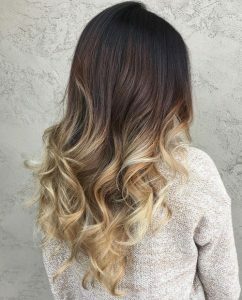 If you ask for a balayage, they’ll dye it in a much different way than if you ask for an ombre. That being said, you’ll still come out with a similar result – but not exactly the same. Balayage is the French word meaning “to sweep”. And if you’ve ever had or seen someone getting their hair dyed in this way, you’ll know why. This is when they take pieces of hair in triangle sections and sweep the color on to a board or foil, as pictured. 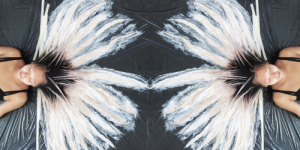 This technique definitely has a similar effect to an ombre simply because more of the hair dye rests on the ends of the hair – giving it a more fluid transition from the root down. However, the two differ because it’s not nearly as drastic as an ombre. It’s subtle and has a look more like highlights give the hair than an ombre. Who is this style best for? It’s definitely better for those looking for a less drastic change. 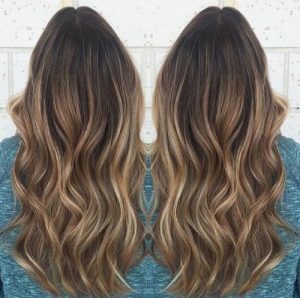 Those who want to change up their color but want it to look more natural will benefit the most from a balayage. Both hair styles are amazing and look great on anybody. But knowing with you really want can help you from getting your hair dyed in a way you definitely don’t like.